My collection of embossing folders is slowly growing, and this card is made using one of a pair (so real value for money) which are called the Floral Affection Textured Impressions Embossing Folders. 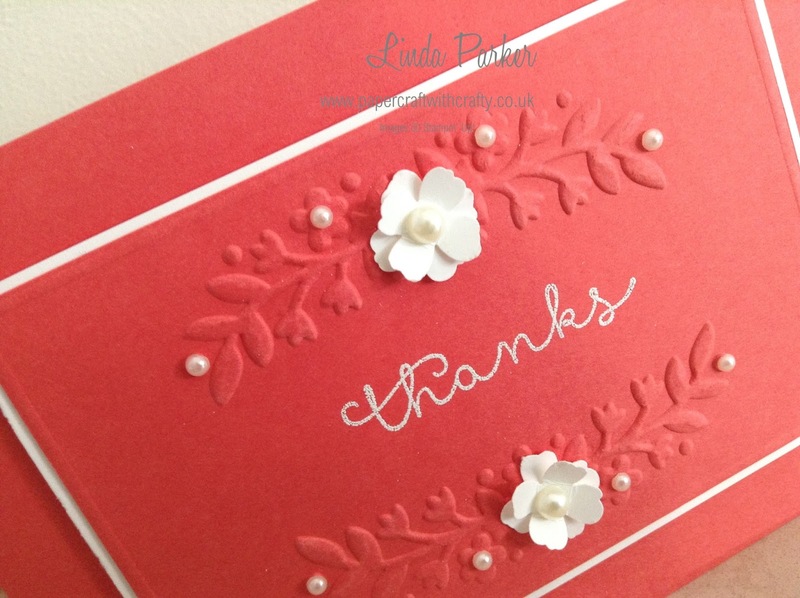 Finished with a scattering of pearl embellishments and some pretty punched flowers, I can tell you that I put this card together in about five minutes. I seen numerous cards using this embossing folder, executed in the same manner as this one on Pinterest and social media and am simply unable to credit anybody. So I am sorry about that. But this is my version using my preferred colour choice. Members of my Reward Club will be receiving the Floral Affection Embossing Folders free (worth £8.95) next month, after I have closed my June Reward Club. To find out more about my Reward Club, please click on the link along the top of my Blog.